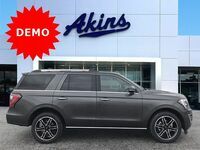 The 2018 model year is a special one for the all-new Ford Expedition – which we have right here at Akins Ford near Atlanta, GA. It’s special because, while each new Expedition for each new model year receives numerous updates and upgrades, this model year takes those enhancements a step further – and then some. In fact, the 2018 Ford Expedition is more powerful, more fuel efficient, more spacious, more feature-filled and more functional than ever before. 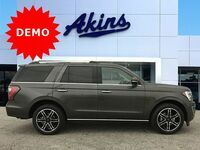 Here’s a great example to show you what we’re talking about – the 2018 Expedition lineup ups its power ratings to heights never before achieved while also offering best-in-class gas mileage. 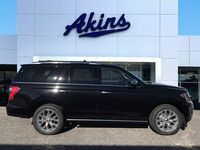 The all-new Expedition also provides more interior passenger and cargo space than ever before while also keeping you and your passengers safer, more connected and more entertained thanks to a slew of new safety, technology, entertainment, comfort, connectivity and convenience features. Put simply, the all-new 2018 Expedition is the perfect choice for anyone looking to purchase a large SUV. For more proof, just check out this 2018 Ford Expedition versus 2018 GMC Yukon head-to-head model comparison. 375 HP & 470 lb-ft. Horsepower & Torque 355 HP & 383 lb-ft. If you’re wondering what advantages the 2018 Ford Expedition holds over the 2018 GMC Yukon, the table above should tell you everything you need to know. 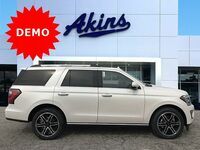 In it, you’ll see the new Ford Expedition completely outclasses and outperforms the new GMC Yukon in terms of power, gas mileage and interior space. More specifically, the 2018 Ford Expedition offers 375 horsepower and 470 pound-feet of torque while getting up to 17 city MPG and 24 highway MPG. The 2018 GMC Yukon, on the other hand, offers only 355 horsepower and 383 pound-feet of torque while getting up to only 16 city MPG and 23 highway MPG. The new Ford Expedition also provides 20.9 cubic-feet of cargo space when all of its seats are in place, 57.5 cubic-feet of cargo space behind its second row, 104.6 cubic-feet of total cargo space, and 171.9 cubic-feet of total passenger volume. Conversely, the new GMC Yukon provides only 15.3 cubic-feet of cargo space when all of its seats are in place, 51.7 cubic-feet of cargo space behind its second row, 94.7 cubic-feet of total cargo space, and 120.8 cubic-feet of total passenger volume. 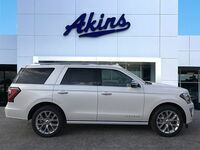 For more on the all-new 2018 Ford Expedition lineup, please contact our friendly Akins Ford staff near Atlanta, GA.